This is what you will see once you arrive at Level 17 of Tong Building. 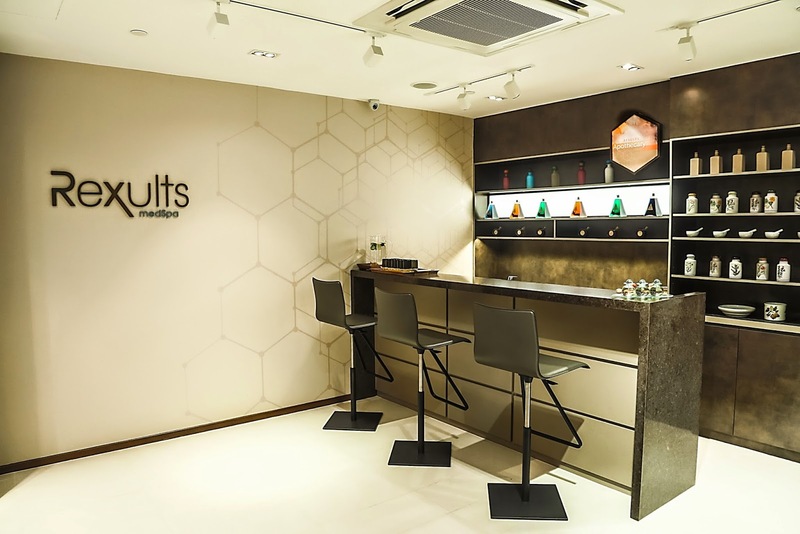 Newly opened right in the heart of Orchard Road Shopping District in Singapore, Rexults medSpa located in Tong Building just beside PARAGON is the latest addition of medSpas catering to the growing demand of men and women who recognizes the need to take care of their own health and bodies. Rexults medSpa offers a relaxing safe haven for those who wish to escape the hectic urban lifestyle to indulge in skin, health and aesthetics treatments that are individually customized to suit the needs of different customers. With customized programming and treatments, specially trained Client Managers and therapists aim to understand their customers' needs and achieve maximum effective results. 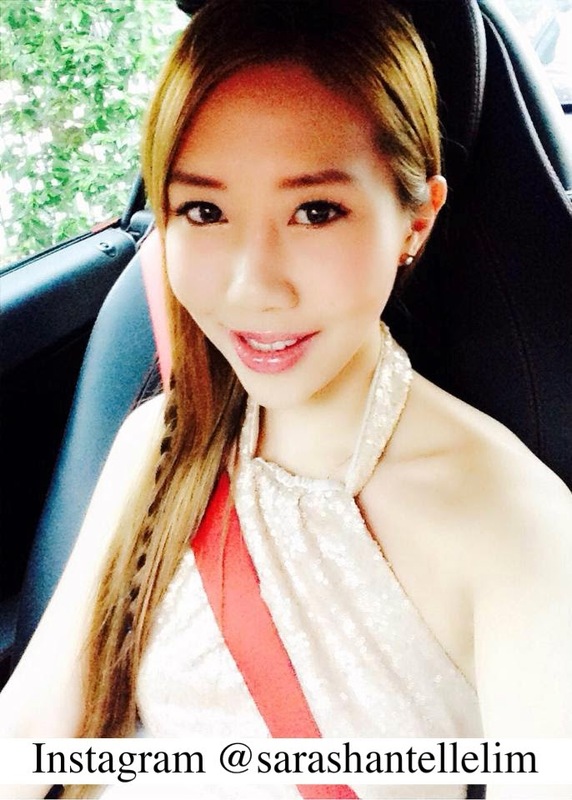 In this post, I have included my personal reviews and experience about Rexults medSpa and how the treatments have helped to instill greater confidence in myself by looking better and healthier. The “perfect antidote” to counteract the bad effects of modern city lifestyle. 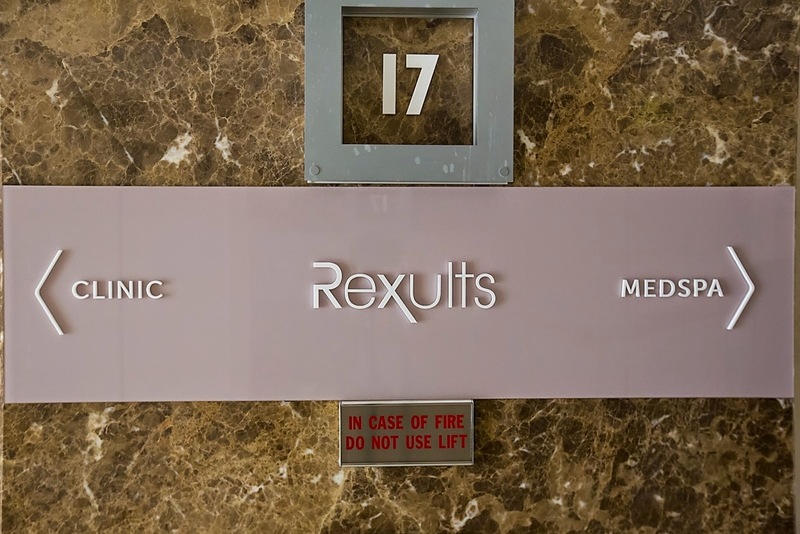 Rexults MedSpa, focuses on Advanced Aesthetics for the face and body, combining the use of High-Tech medical grade equipment and the High Touch of the therapists’ hands. Therapies are carefully designed to specific protocols. They address the effects of unhealthy urban lifestyles that take a heavy toll on one’s complexion and health, including stressed and dehydrated skin, fatigue, and the need for detoxification. Rexults medSpa talents will take the time to understand your needs and establish goals for a new and improved you. Rexults MedSpa has 20 years of experience in the industry, armed with expertise in the latest treatment modalities. Since the spa’s inception, the Founder Mrs Elizabeth Wong has travelled extensively to Europe and U.S. for research purposes to keep abreast of latest scientific breakthroughs in ingredients and equipment; the culmination of which has resulted in a stellar line-up of aesthetics treatments and bodyworks that employ a synergy of science, technology and luxury. It matters whether you are in your 20’s-30’s, 40’s-50, 50’s or 60’s-70’s. Chronological signs of ageing can cause people of all ages to struggle with skin conditions such as acne, sensitivity, dry skin, wrinkles, redness and sun damage. Rexults medSpa takes into account the Glogau Classification system to objectively select the best therapies to treat one’s skin condition. Specially trained under the Rexults Advanced Aesthetic Training Programme’, Rexults’ Client Care Managers and therapists uphold a high benchmark in service skills, grooming and etiquette to offer exceptional and consistent client care. With the highest calibre of dedicated and experienced employees, each guest is assured to receiving exceptional and consistent care. Rexults medSpa understands the sanctity of attaining better skin health and maintaining aesthetics in a highly personalised manner. The array of treatments are known to instil confidence and restore radiance. It was my first time visiting Rexults medSpa and I was warmly welcomed by their staff with their wide smiles and friendly greetings. They showed me around the spa and introduced to me the wide range of synergistic oils that are available to all customers at the Aromatherapy Bar. The pure essential oils can also be custom-blended specially to suit your preferences to help your mind and body to relax completely in this safe haven. I find this very interesting! I enjoyed the scent of the essential oil. Aromatherapy Bar offering pure essential oils that are used in your therapies. After which, they took my height and weight to calculate my Fat percentage and BMI. I was brought to their locker room to change and later to their Retreat Lounge to relax for a while. After a thorough body analysis, I had a private consultation where and the knowledgeable staff explained to me what treatments were highly recommended and suitable for me. These are some pictures of their coloured treatment rooms. The colours and music of each room is customized to your individual special preferences. I was introduced to a Body Define Treatment as well as a Facial Treatment. The Body Define Program at Rexults medSpa includes a body composition analysis to identify problem areas where goals are set. 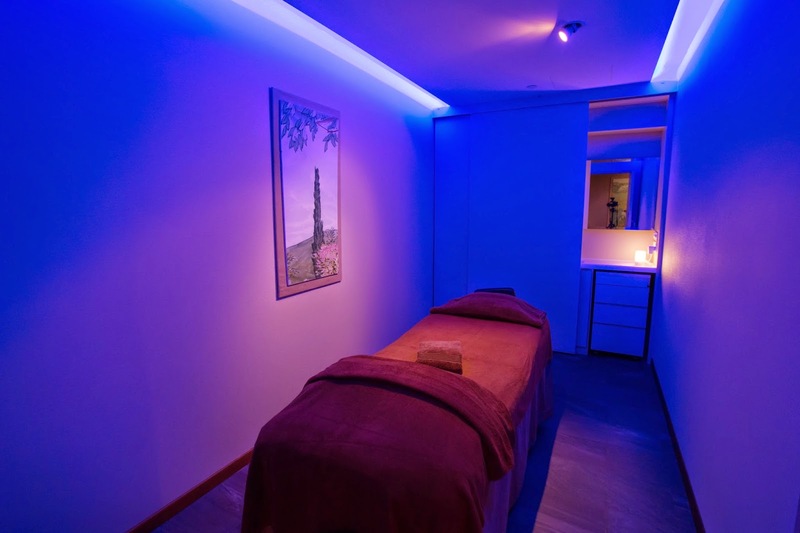 The medSpa treatments combine the skill of the therapists and state-of-the-art technology. Through supervision and encouragement, the medSpa team will help you accomplish your desired goal. One of the treatments under the Body Define Program is REXULTS Cellular Regenerating Therapy. With the Proionic technology that works from within, this treatment has a deep regeneration effect by working deep within the tissue, mobilizing the ions and providing energy inside the body. This optimizes the ionic exchange to balance the electric potential in the tissue, giving new life to the skin in firmness and tone. CRT is a medical-grade equipment and the technology was founded in Barcelona, Spain by Jose Calbet Benach in 1983. It was first developed to treat sports injuries using innovative radiofrequency devices for electro medicine. For the body, depending on the reason for the treatment, a course of 8 within 4 weeks, and then maintained on a once a month program. The skin may be minimally red after the treatment due to the warming nature of the treatment. Many clients have treatments on the day of special events because of the results that they get from a treatment. This therapy produces clearly visible and effective results. This is an intensive repair and renew face therapy. Designed for all skin types and for the purpose of keeping aging in abeyance. It starts with a custom-formulated exfoliant that accelerates dead skin removal. This facilitates painless extractions and allows for the penetration of a synergy of marine collagen and brightening active ingredients which is infused deep into the skin. The Rexults signature face massage with the collagen serum further enhances the effect of this treatment. Your skin is illuminated with the restorative and brightening mask. An effective anti-ageing treatment which is a must for radiant and healthy skin. Marine collagen is a kind of collagen that is extracted from an assortment of ocean algae species. Not to be confused with common collagen in most skincare, Collagen molecules are too large to penetrate your skin's tough outer layers. Marine Collagen is a clinically proven collagen which will activate the production of new collagen within your skin cells. Firm and Tone Face Massage combines muscle firming, toning, stimulating and lifting techniques to firm, tone and strengthen the facial muscles, release tension, introduce nutrients and improve blood circulation, enhance muscle firmness and contour the face. Improves skin elasticity, reduces fine lines and wrinkles and nourishes the skin to bring about a healthy glow. OVERALL VERDICT - Rexults medSpa is definitely a highly recommended medSpa which is dedicated to provide highest quality of service and treatments to all customers. I thoroughly enjoyed the Body Define Program and the Face Reparative Therapy. 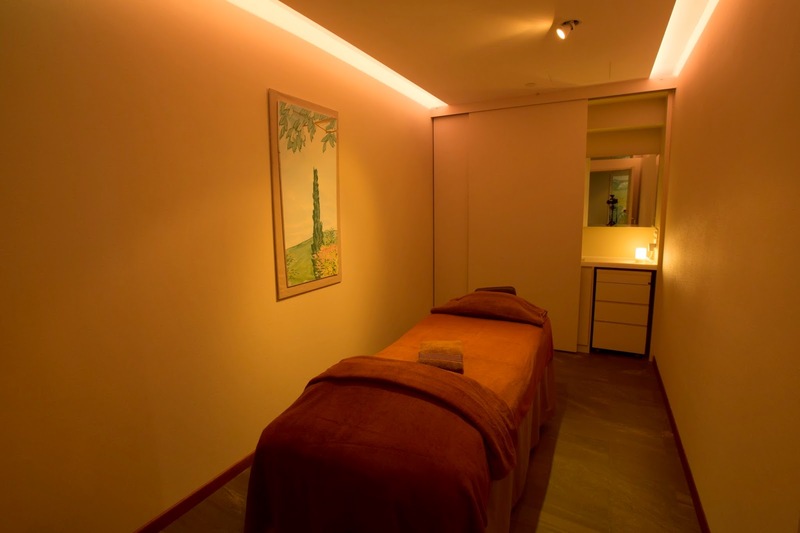 I felt totally re-energized and revitalized and I was glowing with radiance after the treatment. The state-of-the-art facilities and warm service by their Client Managers helped me to relax in comfort and trust them in providing me with the utmost care.